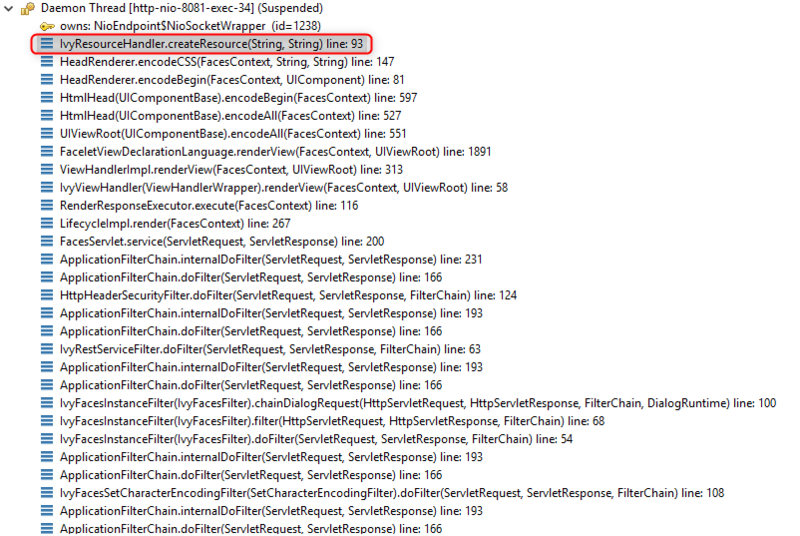 I just wanna ask you that is there any possibility to override CSS from child module to parent module. For example, we are having 2 ivy projects: project Parent and project Child, Child depends on Parent and both of them are deployed in the same application. We need to change some style for both of them but the problem is we don't have right to modify project Parent. So in project Child, we defined some custom CSS styles and import it in XHTML page. This way works well for only views that belong to Child project, but with the view in Parent project, it can't work because we can't inject our CSS to Parent project. Our attempt was creating a custom theme as this suggestion: https://answers.axonivy.com/questions/12/how-to-create-my-own-theme-for-html-user-dialogs and put this jar file under Designer/Engine folder. The way just works perfectly, our custom CSS style can apply for both Parent and Child. But the small problem is whenever we change our style, we need to build the jar and put it in Designer/Engine manually, it's really not convenient. Unfortunately, we can't see what inside that class and don't know is there any possibility to inject our custom CSS into that process. I know that inject CSS from child to parent is something weird but actually, we can't find an alternative way. So I just wanna ask you that is there any possibility to inject CSS from child to parent? No, there is no way a project can access a css file from another project. They are capsulated and have no rights to access files outside. The only way to override a theme for a project where you have nor access rights, is like you described it above. Create a custom theme, pack it as a jar archive and put it into the webapps/ivy/resources/WEB-INF/lib folder of the engine/designer. As the error message says it: cannot find "theme.css" resource of "primefaces-serenity-bluegrey" library. 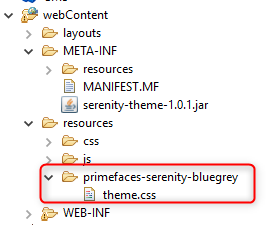 The folder "primefaces-serenity-bluegrey" is no library (jar). Sorry that there is no easier way for your problem. But why do you want to modify the style of a project you don't have access to modify? Awesome, it seems that the only way we can do is using our custom theme. For the reason why we want to modify a project we don't have the right to access because we're using Ivy's Portal. We want to use the pristine version of Portal as well as apply our custom style to it. Thank so much for your clarification.